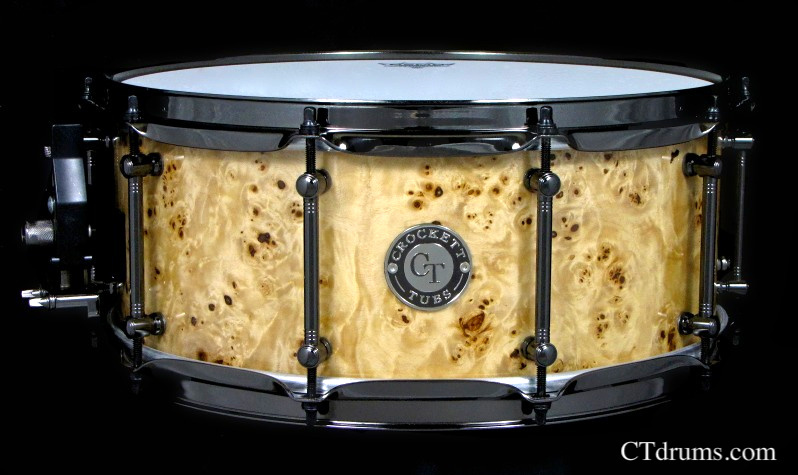 A unique shell constructed of thin maple ply with an inside and outside ply of exotic karelian birch. 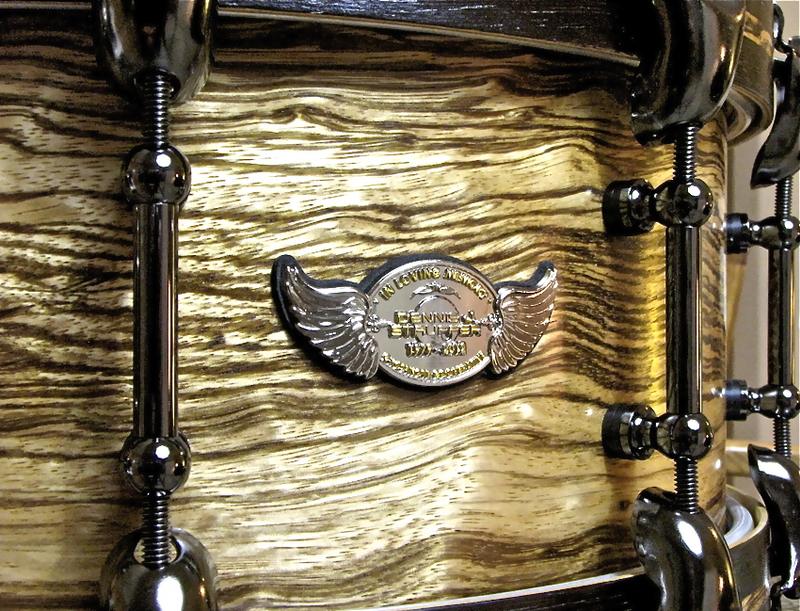 This custom shell was provided by Stone Custom Drum Co which has recently acquired and retooled all the old Slingerland shell molds. 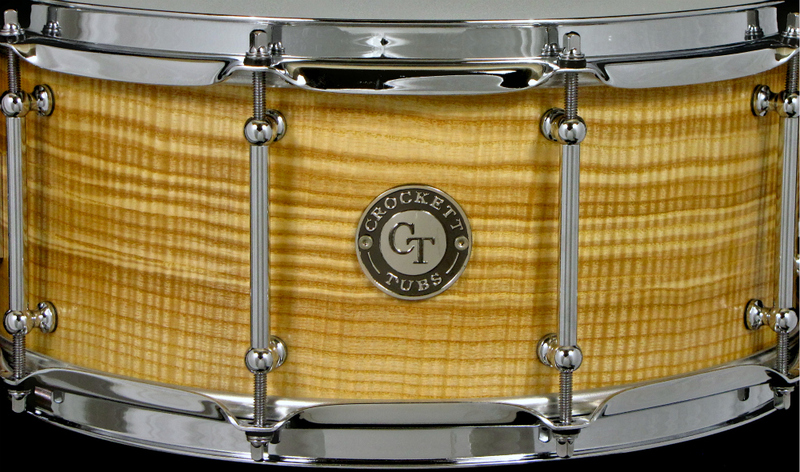 The drum has a very warm sound and great fat tone for a softer touch and that classic vintage sound. 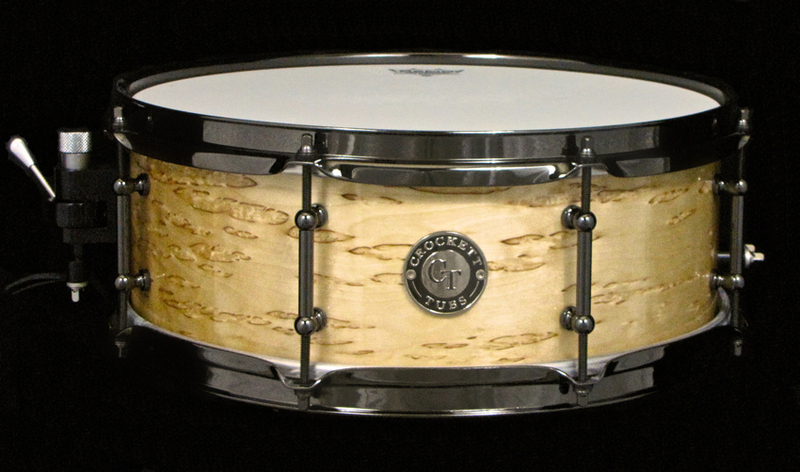 We can work with Stone Custom Drums to produce unique vintage slingerland style shells for any customer in sizes 12″, 13″ and 14″ for now and more sizes coming. 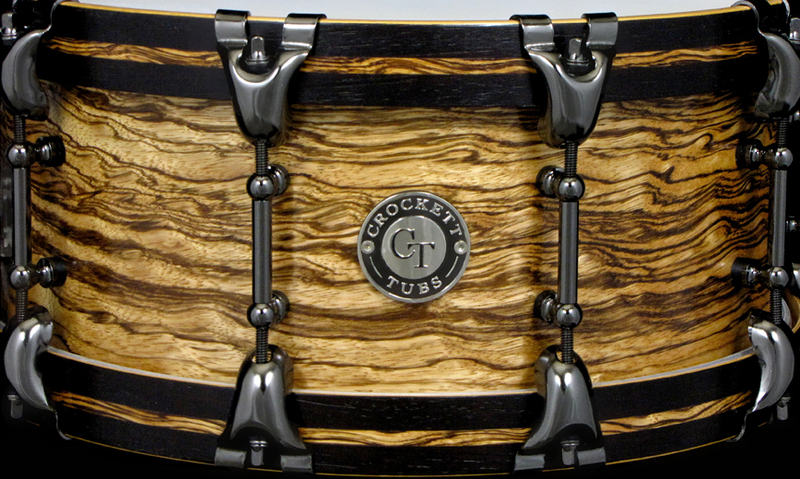 Finished in our natural high gloss lacquer with all black nickel hardware. 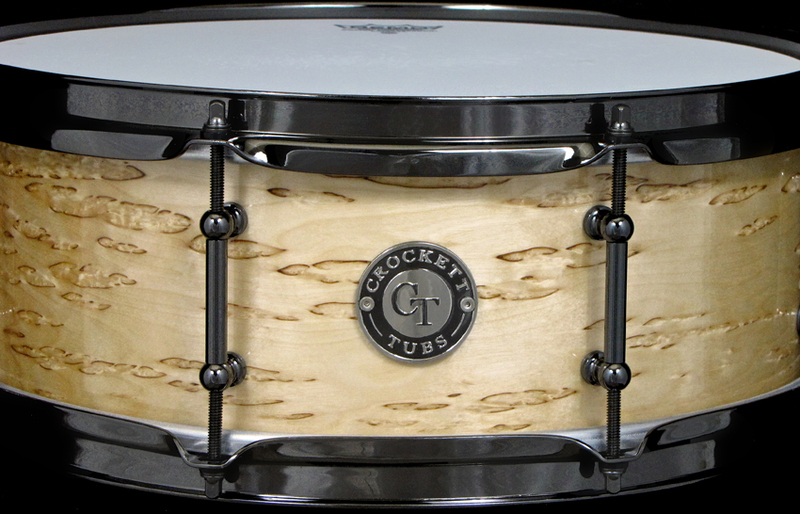 The added 8 lugs creates a fatter feel and depth instead of a typical 10 lug version that has more high end crack and wide dynamics. 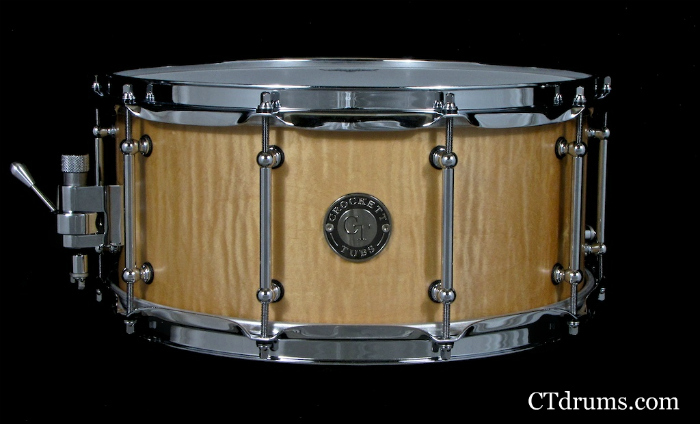 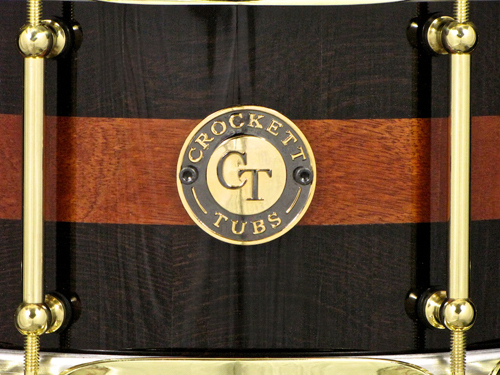 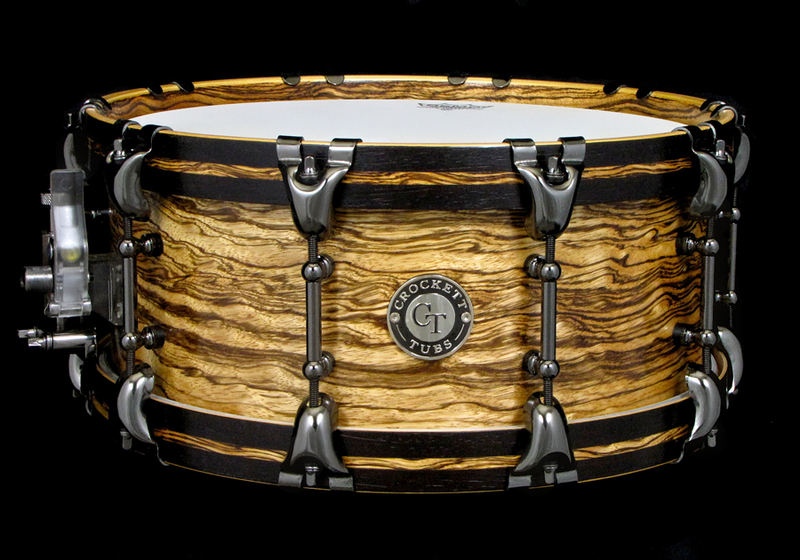 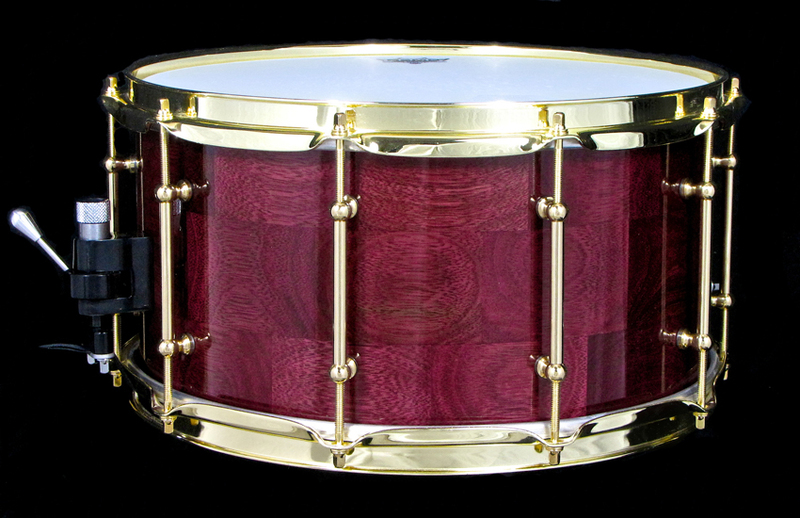 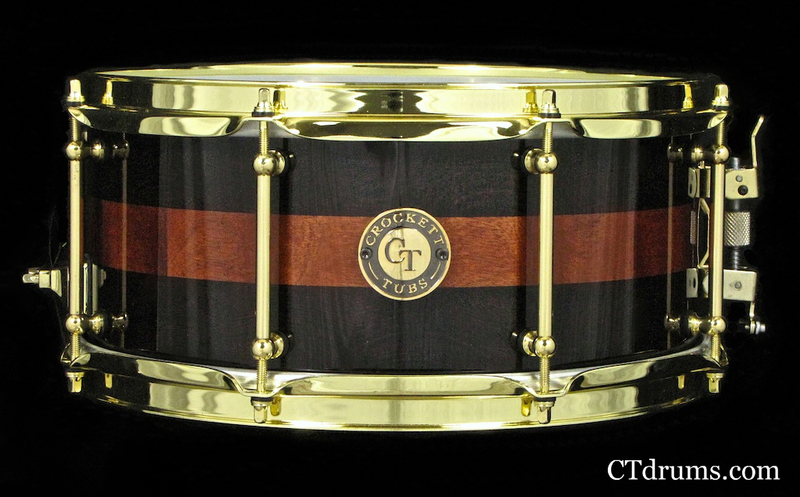 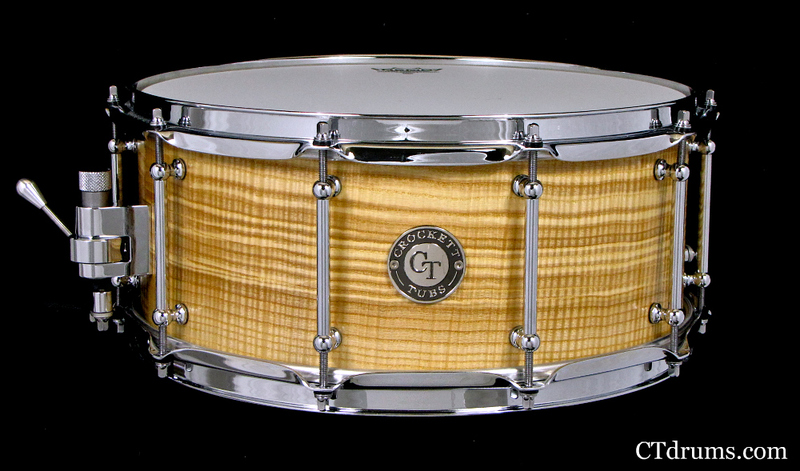 A Players Series 6.5×14″ maple 10ply shell with an outer exotic curly maple veneer and added 6ply reinforcement rings. 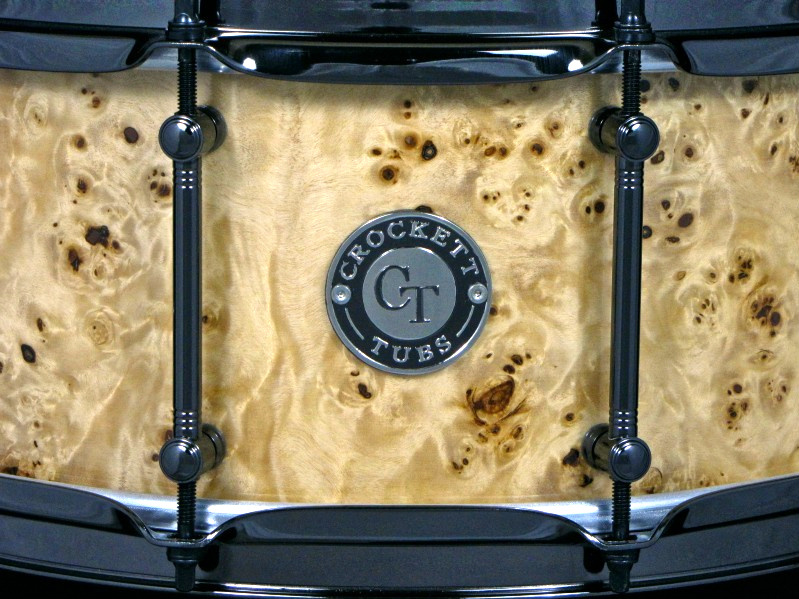 Finished in natural satin stain that really pops the unique curly wood figuring with all chrome hardware. 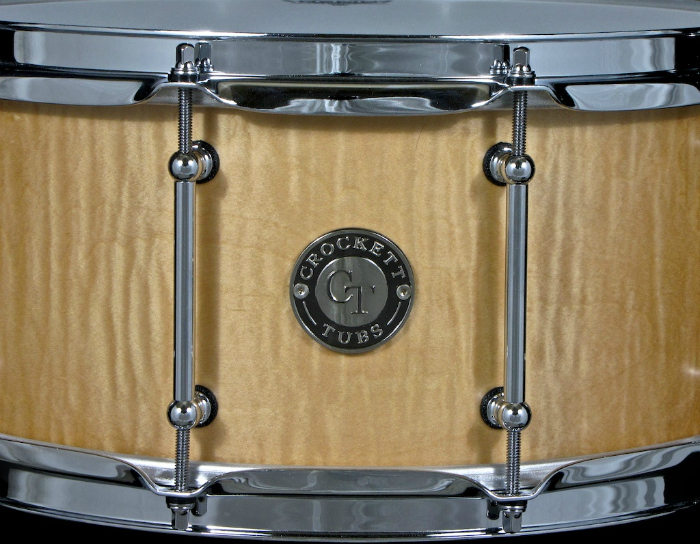 A new chrome plated Trick multi-step throwoff, full length tube lugs x10, 2.3mm triple flanged hoops, Remo drumheads, and German snare wires. 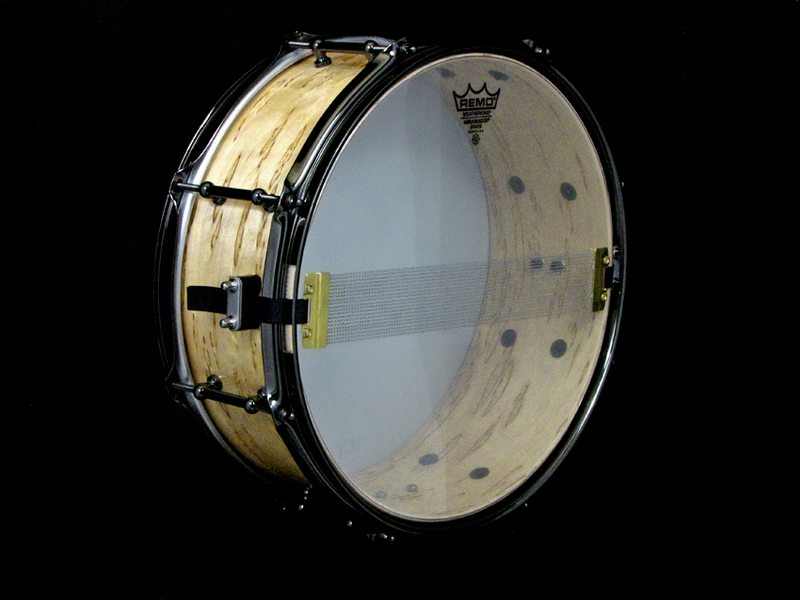 This drum has a very wide tuning range and extra sensitivity due to the added re-rings which help lead this drum for any style of music or player. 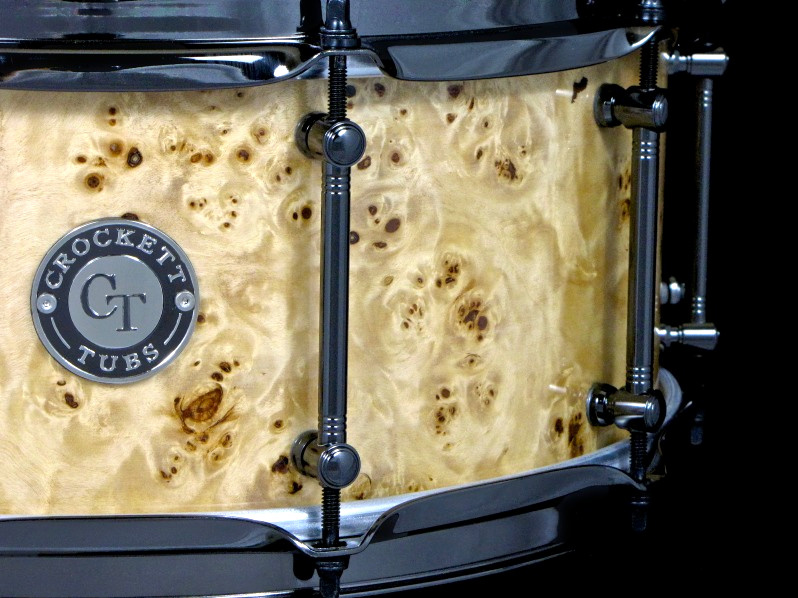 A very versatile drum with a killer look.